Finding the right training solutions for your company can be a difficult task. Some companies offer only off the shelf training packages that can be used straight out of the box, others a more tailored solution based around your industry and specific requirements. There are benefits to each approach, something to suit all interested parties. Here, we take a look at a few differences between the two, and how each can benefit your business and attempts to improve the skill sets of your staff members. Choosing to purchase off the shelf training products provides you the chance to choose training topics of a more general nature. You can purchase some specific off the shelf training modules, but it won’t ever be as specific as to your particular company and for individual staff members. 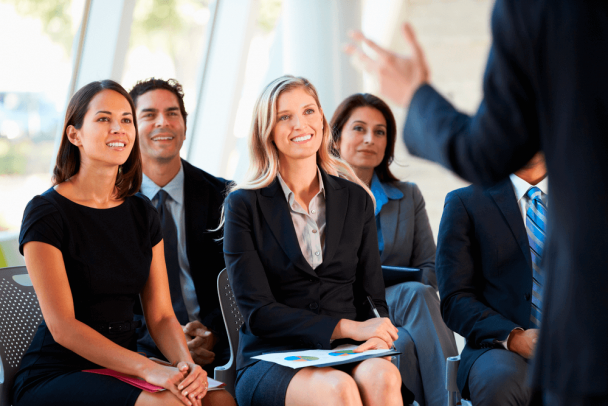 The trainer has the chance to focus solely on the delivery of the training itself, and how they are going to interact with attendees and make the course stick in their minds. Often, trainers will be preoccupied with worrying about preparing the materials that need to be used for the training, rather than working out how best to deliver that training for an effective outcome. There is no need to task internal team members with producing materials for e-learning content; they can focus on learning, as the materials will all be provided to be used immediately, out of the box. This also takes away the pressure from on-going training as the same materials can be used again and again for different staff members. Topics are limited when compared to tailored e-learning modules, but you can adapt your company requirements to the topics available to you and tailor your approach over time, negating this seemingly negative attribute when compared to bespoke learning. Purchasing tailored training modules to use in your in-house training is a great way to train your staff on ultra-specific topics. You can order training packages that are specific to your company, the industry you are in and the latest trends within it. Another approach is to create training sessions based around specific company policy and for the numbers of staff you are expecting to train on any given occasion. When training anyone it can be difficult to grab their attention and make something stick unless it is specific to those individuals. Tailored training modules allow you to be as specific as you need to be, teaching a whole host of topics down to the real minutiae of individual roles where needed. It can include contributions from internal teams to add depth to the learning material and you can also choose development and production of material over a short turnaround for rapid learning or create a long-term training strategy. The control is in your hands. Whether you choose off the shelf training modules or a more tailored approach, you will be able to find training providers with the expert materials to help you reach your staff training goals.